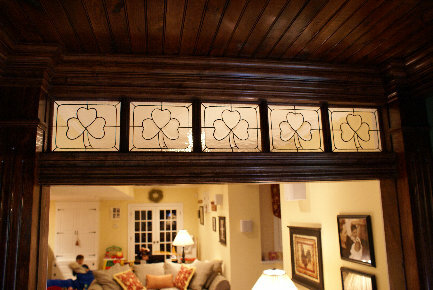 Transom after installing shamrock panels. 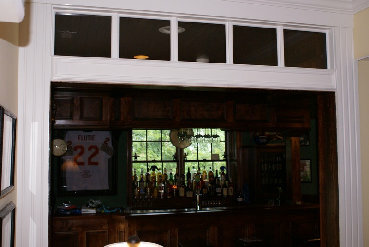 Transom before installing shamrock panels. 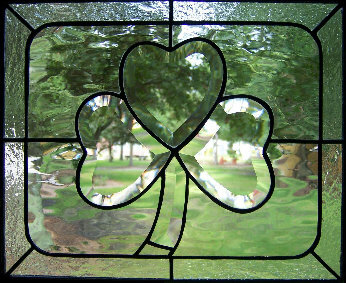 After I built a transom for his home in West Harrison, New York, Matt asked me to build a set of 5 identical beveled shamrock panels to fit in the transom pictured on the left.